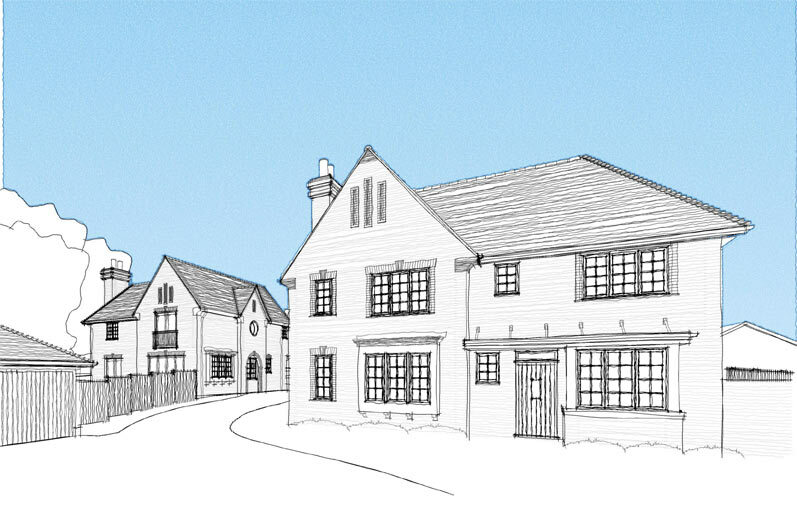 Planning permission has been granted for a development of 4 new detached homes, 3 detached with 4 bedrooms and 1 with 3 bedrooms. 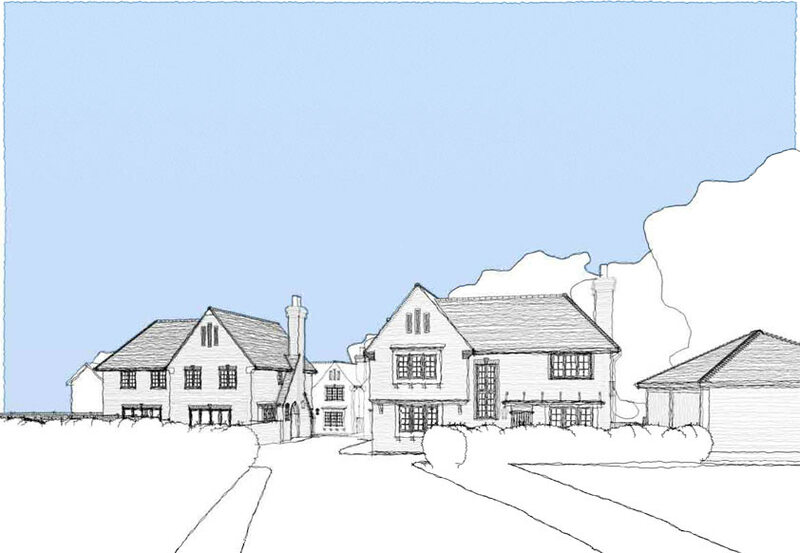 Set within a popular residential area, between the towns of Crawley and East Grinstead and well screened by mature trees to both the east and north boundaries, the site will maintain a strong sense of enclosure and privacy and sits adjacent to the Worth Way Bridleway known as a ‘Site of Nature Conservation Importance’. 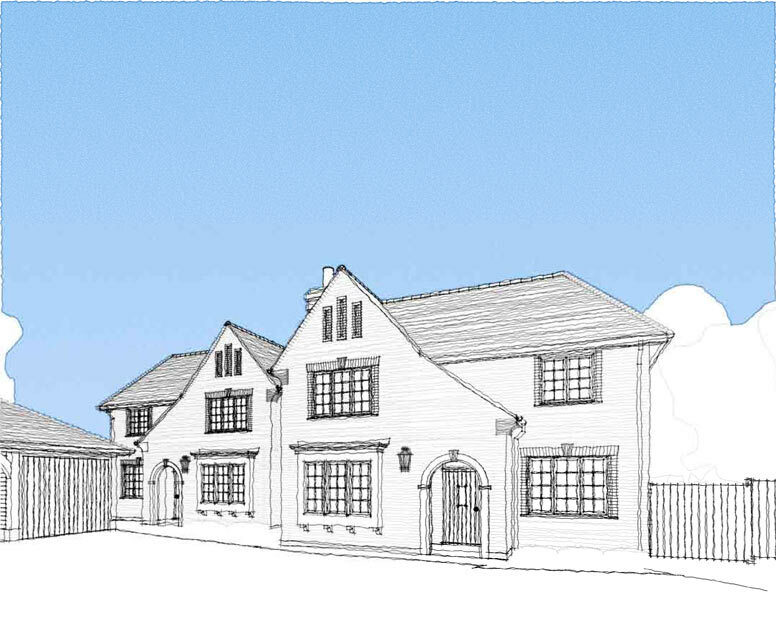 The houses share a private driveway and are arranged around a central courtyard with lawned rear gardens. 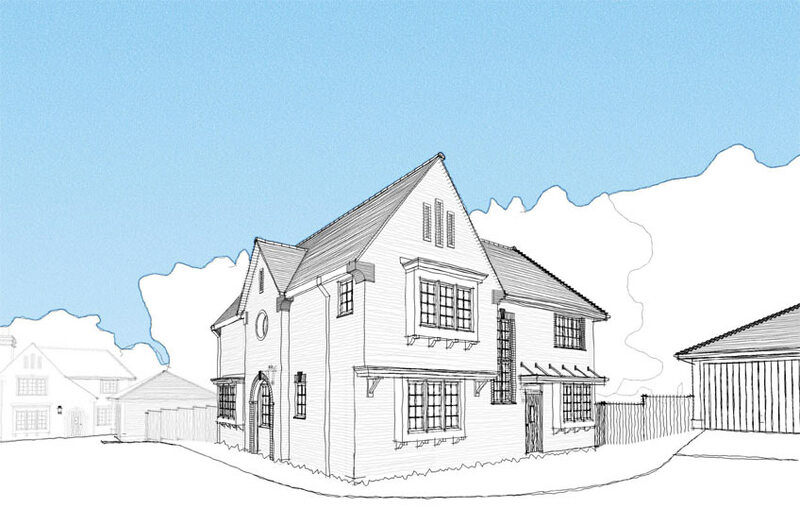 Local architects Fluid, have created a unique design incorporating traditional Arts and Crafts features with modern family lifestyle demands and sustainability with flat roof elements for discreet solar panels.